OnboardIQ, a three-year-old startup that provides an applicant tracking system for hourly workers, has raised $9.1 million in Series A funding. The company's product lets employers accept job applications, communicate with candidates, and even automates tasks like sending out paperwork and scheduling interviews. 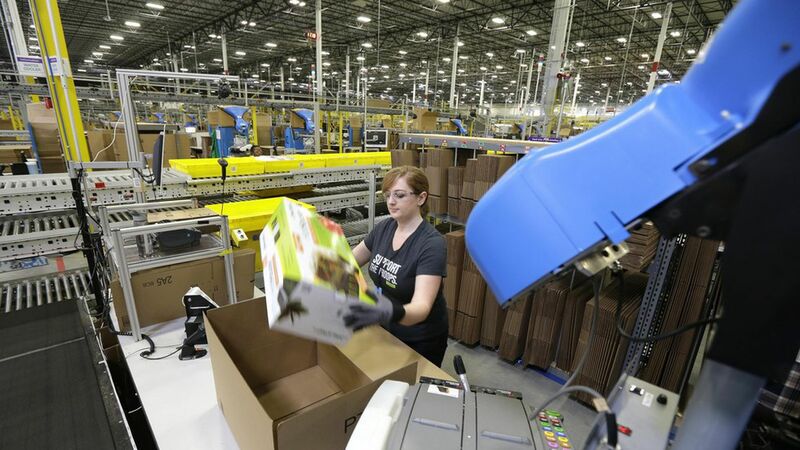 Why it matters: As new business models and technology are changing the labor needs in a growing number of industries from retail to logistics, employers need new tools to hire hourly workers more efficiently. Key trend: From processing more than 3.4 million job applications (yielding 400,000 hires), OnboardIQ has noticed that about one in five candidates ends up applying to work at another company. According to co-founder and COO Jeremy Cai, this is consistent with workers' two primary priorities — having flexibility and more work hours — both of which they achieve by working for multiple services. Beyond on-demand: During its first 18 months, OnboardIQ focused on on-demand services like home cleaning, deliveries, and valets. However, as a growing number of these startups began to shut down, it realized that it should look beyond the category and has since expanded to work with employers in retail, logistics, and fulfillment. Its customers include Safeway, GrubHub, and Deliveroo. The main difference the company noticed in making the shift is that while on-demand services usually look to hire a lot of people do to the same job, retailers, for example, are looking to hire across a variety to different jobs. Funding: Origin Ventures led this round (with partner Brent Hill joining the board), with SoftTech VC, Crosslink Capital, and Y Combinator also participating.